VITAM Canteen: Campus Canteen is located in the ground floor of the Open Auditorium and Central Library. 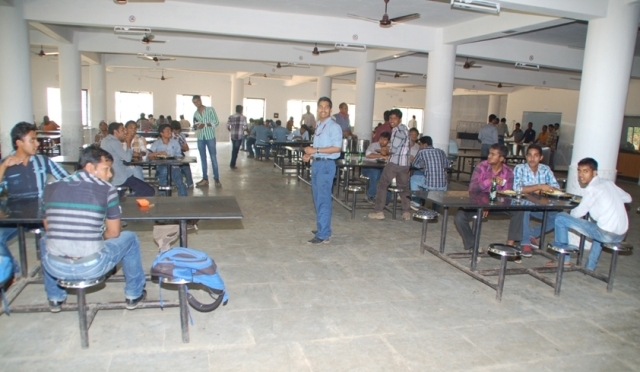 The canteen provides breakfast, lunch and dinner to all the staff members and student community, plus provides catering services in lots of events hosted by different departments, placement cell, staff clubs and management of VITAM. Shopping Complex: The Shopping complex is located ground floor of the Open Auditorium and Central Library. It hosts a range of shops providing scope for refreshment, photocopying, printing, laundry and some materials needed in day-to-day life. Bank-ATM: The Campus is also having ATM facilities for providing services to its staffs and students.